Create a continuous look with a classic: the Round Stainless Steel Handrail. Get the sleek look of stainless steel while minimising installation time. 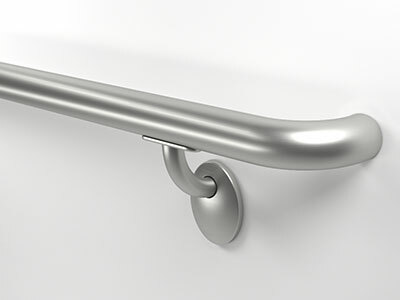 This classic handrail is made-to-measure and delivered pre-configured for easy installation eliminating the need to cut and finish on-site. Continuous straight and return sections allow for an easy installation that leaves you with a finished look that is easy to clean.